We leave L’Aberwrach early the next morning, for what Mike described, in his pre-trip internet briefing notes, as a “5-hour flume ride through the Chenal de Four”, (whatever that means) Not to be confused with tomorrow’s, much scarier-sounding “10-hour slog through the Rez de Seine”. The weather off the rugged Atlantic coast of Brittany can be extraordinarily, famously, savage. We are amazingly lucky with it, in my view. Well, okay, the bad news is there’s only intermittently enough wind to make it worthwhile getting the sails up and actually sailing a few times. The breeze scarcely lifts above 12 to 15 nauts though the whole day. The good news is that this calm is accompanied by beautiful, hot sun. Everyone is disappointed about the sailing. But what the heck; we are on the water; we are in France; and the sun is glorious. Mike and Dave go to the chart desk to plot a course, entering way-points into the on-board computer navigation system. This is a long way from the stars, sun-at-noon, and sextant navigation of Captain Bligh and Captain Cook’s day. But time marches on. We take turns helming, keeping an eye on the radar that we remain on-course and- in areas around reefs and off-shore islands- a wary eye out also for hidden reefs and shoals. 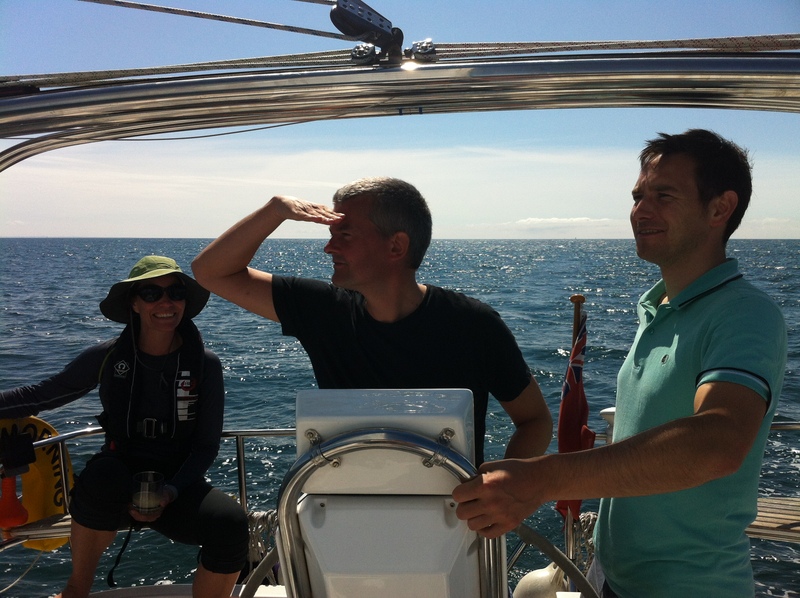 Here below, you can see an image of, from right to left, Lindsey, our skipper Mike and first mate “Nautical-Dave” all keeping a close look-out. Can you sense the eagle-eyed focus? The tension on board that day? 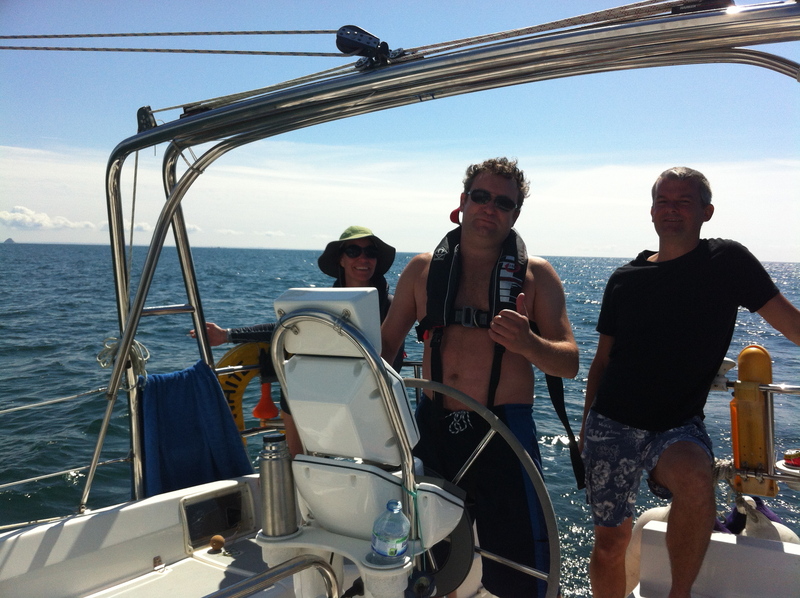 As skipper, boat owner and keen sailor, Mike is obviously most disappointed about the lack of wind. Dave feels the same way. My own and Lindsey’s reaction is more mixed. Yes, it’d be great to sail. On the other hand….sailing is work, and that sun is beautiful. Being Irish, and an absolute “hoor” for sunshine (novelty value you see) I immediately remove as many clothes as practical/decent/legal, and get sunbathing. After lunch, the day turns into a proper scorcher. The wind picks up enough and we hoist the sails, although it would be lying to say we break any speed records. We are nearly half way to Cameret sur Mer now, our first full day of France and holidays proper. Inevitably, people start to mess around. Coast of Finistére, Brittany. L’Aberwrach is too small to be marked here, but it’s on the Northern Coast of the peninsula. Cameret-sur Mer, our eventual destination this post, is circled with the magnifying effect mid-map. To cool off, Dave jumps into the sea behind the boat , holding onto a cable with one hand, so the boat doesn’t sail away and leave him in the ocean. He gets towed behind at quite a rate. The speed of the boat is quite deceptive- There’s no way any of us could keep up if we ever dropped off. It is a sobering thought. Holding onto the cable for dear life, Dave also does useful work with his free hand, clearing some built-up seaweed off the rudder. The sea looks amazing, a deep rich blue. I get jealous. Soon Dave climbs back up on deck. Seeing how the tow line is now free, I dive into the Atlantic myself. In one sense this turns out to be a mistake. I had planned a quick dip. That’s because it is now about two that afternoon. Chaffing against the lack of sailing-speed, Mike’s restless spirit has had enough. It demands a flurry of activity and safety drills. As mentioned in my second post, our skipper is is, quite rightly, a stickler for safety. His training course, for his RYC-approved skipper-certificate, taught their students the strict RYC mandated procedure for getting a man overboard- (a MoB) – out of the water and back into the boat, whether conscious or unconscious. Mike reckons there are only two problems with this official Man-over-Board (MoB) procedure. 1- It isn’t possible, and 2- it doesn’t work. Being Mike, he has now devised his own system. This system, of course, needs testing. Today is the day. Being an imbecile, I cheerfully volunteer. The second part is also similar: allowing the boat to drift up slowly side-on, not driving it hard towards them. No, it’s the next part of Mikes’ system that differs. The RYC method preaches retrieval of your MoB from the side of boat, using the boat hook if necessary, if say, your MoB is unconscious. This retrieval from the side is presumably to keep your unfortunate wet crewmember clear of dangerous rudders and propellers at the back of the boat. Fair enough, good plan. The only problem with this, otherwise excellent, idea is that the sides of most yachts are up to 5 or 6 feet above the water. As very few of us have 2-meter long arms, nobody could ever reach up to the edge of the deck. Nor could the would-be rescuers still on-board ever reach out to pull anyone, 5 feet clear up out of the water. No, not even with a boat hook. The weight would be impossible to lift that far. Especially a wet, unconscious person, with their clothes heavy and soaked though. Somebody’s entire weight, with one arm fully extended, banding over the edge of the boat and the other desperately holding onto the stays? Totally impossible, forget it. The boat hook would not be much use either. These are generally used for grabbing up loose ropes and fenders out of the water. My guess is, if you tried to lift an adult clear out of the water, the weight would either crease the light aluminum pole like a hairpin or just snap it straight in half. For all these reasons, Mike thinks the back of the boat is the only way to go. But he’s not even sure if that would work. Not for a large, unconscious, unhelping person. We decide to try it. Hmmm, now.. who is the largest, heaviest person on board? Yes, Mr. Muppet is so happy, in the beautiful, clear, blue water, even though he has already been in 25 minutes, he volunteers to be the faux unconscious victim. Little do I know I’m about to spend the next 90 minutes in the water; much of it with the boat in the far distance. In fact, being such a muppet, and therefore entering fully into the spirit of things, after getting back on board a moment or two, I decide to cunningly stage a distraction, by pointing the others at a pod of imaginary dolphins, (whales/Russian subs/can’t actually remember what I said if anything) Then, while they are still vainly scanning the horizon, (the suckers) I drop myself, very quietly, silently, off the back of the boat. Ha-ha…. I spend a few moments being silently “unconscious”. I keep my eyes closed. I practice floating about, in a convincingly pathetic and listless manner. It’s no easy gig, obviously, but to my surprise, I turn out to be excellent. I’m soon forced to award myself an Oscar, for best supporting corpse. At this stage I half-open my eyes to sneak a covert glance at the… Oh. At the disappearing boat. Oh dear, it appears my cunning ploy was too cunning, yes, too successful. The entire crew is still looking for the dolphins or whatever lie it was that I fabricated. Nobody is remotely concerned or has even noticed the missing crewmember. The boat is not exactly a small dot on the distance, not quite yet. I can still see, for example, that it is a boat. But it’s definitely ploughing away. One can tell it soon will be a small dot on the distance. This is not a nice feeling. I’ve had it once before. (In the shark-infested waters off Mozambique, if you must know.) Ho-hum, here we go again…. Eventually, and I do mean eventually, my valued presence as a key, no a crucial member of crew, is missed. (Sorely missed, I’d hazard) The small, distant boat finally turns about. Oh good, everything is going to be okay. I can now see that Lindsey is at the helm. Lindsey, despite her endless protestations to the contrary, is an excellent sailor. True, most of her long and successful experience has been on dinghies, rather than yachts. But the principals are very similar. She is, in fact, by some distance, the best sailor on board. Nobody can trim a sail or tie off a fender like Lindesy. However, Lindsey has clearly been extensively briefed by Mike not to hit the MoB. Speaking as the MoB, I would rather take my chances at this stage. But orders are orders. Anxiety, not to hit her friend and MoB, does the rest. Accordingly, the first pass is, well, a miss. The boat flies past about, say, 35 meters to my seaward side and with no sign of slowing down. It takes awhile to turn the boat around each time and return the several hundred meters. Now bored stiff, I amuse myself. I practice being unconscious again. I’ve already one an Oscar, for this much-misunderstood, much unrated talent. But it’s tough to stay at the top of your game. Have I still got what it takes? Can I still pull it off? Or have I lost that knack, that special… magic? Oh, No. Shame to the doubters. Oh yeah…. still got it, baby. For this ground breaking second performance I award myself a second Oscar. (Anything else would be a travesty) Envelope please…. “And the winner this year, for best supporting corpse or in the role of an unmoving, supine object, is… Camaron Diaz/Cate Blanchet/Jennifer Connelly opens my Envelope; excited flutter of eyelashes… Vindication, and triumph, my critics silenced, in emphatic fashion. But I’m bored of awards now, bored of adulation. where is the boat? The boat finally arrives. Nah more, it actually stops this time. It stops perfectly in fact, at first bobbing, and then gradually sidles up beside me in a, frankly, suggestive and forthright manner. Keeping my dignity, I treat the side of the boat with icy distain. But our job is not yet done. After the long wait, a more excitable, more egotistical, type might complain, might forget what the whole exercise was all about in the first place. But, you know, sorry, but I’m just not that guy. No, I’ve promised to be the man over board for this drill. I’ve promised to be unconscious. I’ve sworn to do nothing, absolutely nothing, to help get myself out of the water. Nothing. You see, for me, this isn’t about lines, or screen-time or so called “star-billing” or any of the vanities of our insecure, contemporary business. No, for me it’s always it’s all about the role. It’s about the work. I am totally committed. Accordingly I lie there immobile and supine, doing nothing whatsoever to help. Mike and Dave now have to drag my large, heavy immobile bulk out of the water. I resist my natural inclination to muck in, get my hands dirty, help out and generally be useful. No, you see for me, once again, the discipline is everything. My craft is everything, it’s about the craft. I’m discipline itself, utterly steadfast, in my determination to do absolutely sod-all. And there’s more. I don’t like to big myself up. This is not even a term I use much myself, but I suppose I’d be described by others in the business as a “method” guy, (by Rob de N, Daniel D-L, Edward N, and my other students) Unerringly modest, yet reluctantly famous, (legendary even) for my preparation for each role. Today is no exception. Mike wanted a tough safety drill; wanted to test his new, maverick procedure in the most rigorous, most demanding conditions. Okay, fine. Naturally I made preparations prior to the trip. Back in Ireland, I’ve secretly bulked up to an impressive 15-stone. These guys (the supporting cast, you’d have to describe them as) are going to have their work cut out. Breathing heavily, sweating and swearing, Mike and Dave each do permanent damage to their spines as they haul this massive monster out of the deep. At last, I’m back on the boat. The other two are more or less destroyed. But it’s important to keep perspective. What’s is vital is that I am safe. 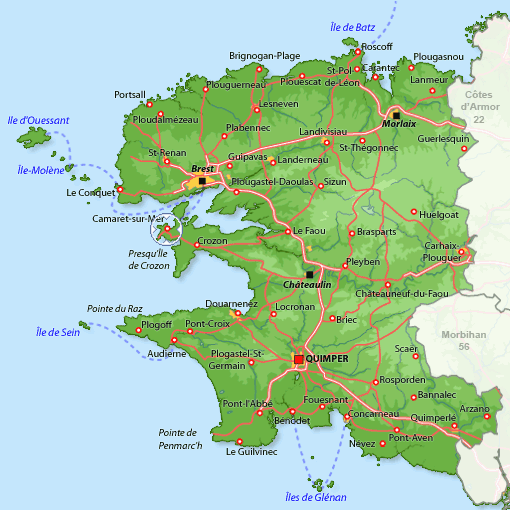 Soon we’ll be in Camaret-sur-Mer. There we will eat food and drink wine. Lots of it, for I must continue my rigorous programme of conditioning. After all, I have a regime to think of, my work, my role as worlds best supine, totally unmoving heavy object. It is, in a very real sense, a vocation, even a calling. Preparation is everything. You just never know when you’ll be asked, to be an MoB. When the call will come…. 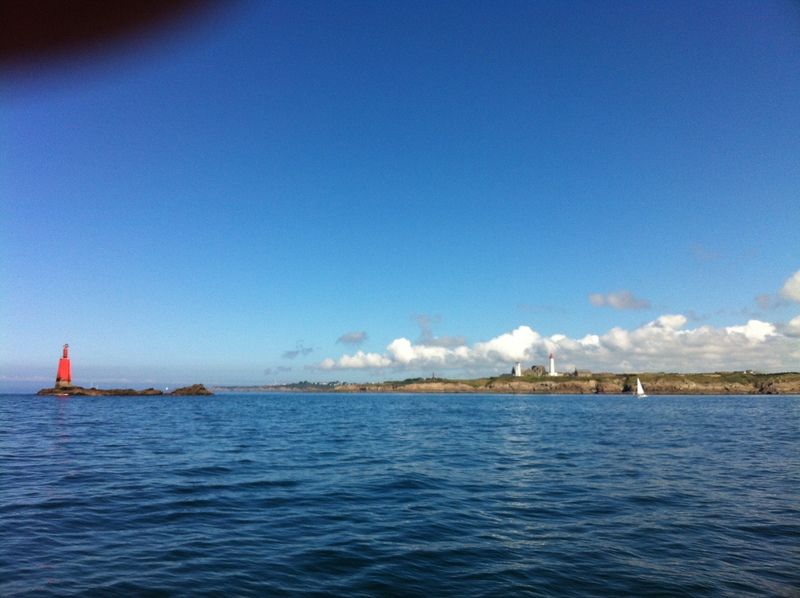 September 17, 2012 April 14, 2013 Arran HendersonFrance, Sailing & the Sea., Travel, Travel Writing.Brittany, Comic Writing., Finistere, France, Sailing & the Sea. You are far braver than I would be, playing MoB. I hope you were duly acknowledged for your acting ability once you were back on board. Hi Maarit-Jphanna, thank you for the thought. I’m afraid I made a decision a few months ago not to accept these peer-to-peer type awards. But I thank you for the thought, it’s very kind, I’m most flattered. Personally, I’m delighted just to see you keep visiting the blog. That is reward enough. Thanks again- Arran. Ah! I’ll trade you your adventure for mine! I’m rather sure I’d prefer wine in Camaret-sur-Mer than, er uh… any number of bits, here in Beijing. Thanks for the great post! I’ll be reading you, for sure. Thank you. Flattery, will get you, everywhere. Wow! 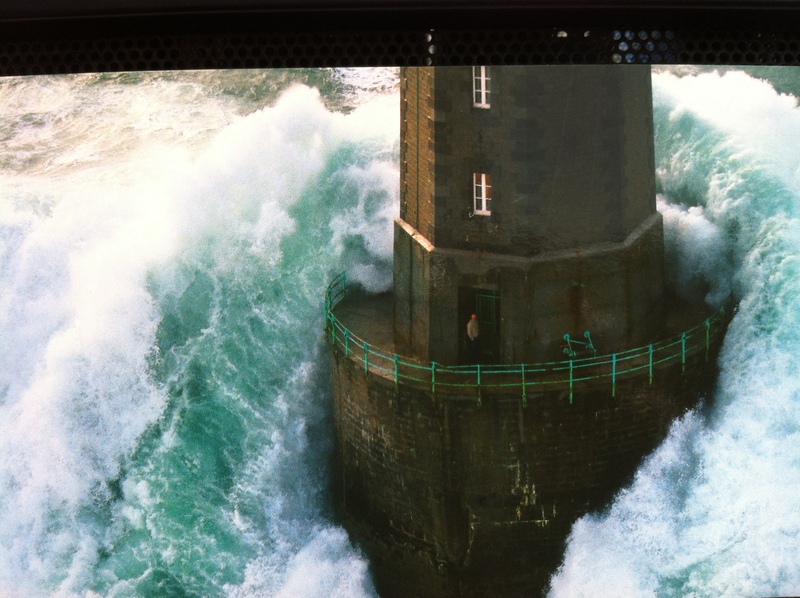 The lighthouse photo is breathtaking! You chose the only picture that I didn’t take ! Afraid i re-snapped that one from a postcard stall. (filthy low-down trick) I’m sure you’d already guessed this from the picture, since my posts are from a small boat, not a helicopter. Spectacular shot but I’m glad we never saw a storm like that. Wouldn’t be sitting here now. By the way, did yo spot the little man standing in the doorway of the light house? Do you see, in that insane weather, how nonchalant he looks ? 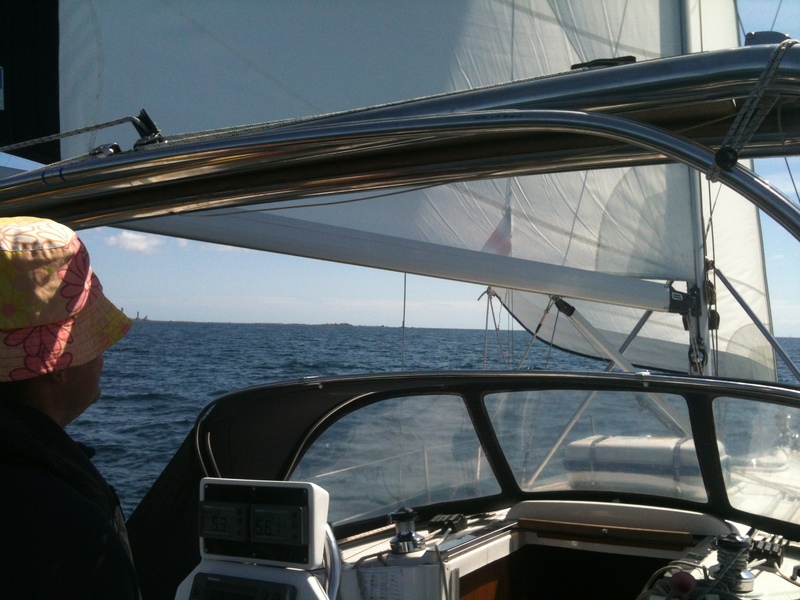 Previous Post France at last, Dublin to Concarneau, part iv, L’Aberwrach. Next Post Sailing Brittany VI: the Fellowship of the White Mast.